If you haven’t yet travelled in a motorhome yet, we would like to walk you through the several benefits of choosing a motorhome as your travel partner. 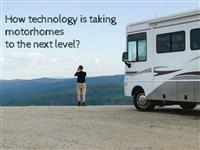 How technology is taking Motorhomes to the next level? There is no compromise needed to enjoy high tech amenities while you plan for your trip. Now, it’s possible to experience outdoors without losing on the technology part and experience the best of both worlds. 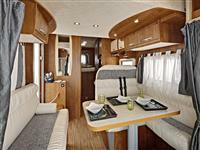 Motorhome- Literally your Home on the Road! Indian tourism industry is one of the fastest growing industries in the world, ranking among the world’s top five most popular tourist destinations. The present growing demand for eco, adventure, wildlife and pilgrimage tourism involves visiting and staying in remote areas, forests, mountains, sanctuaries, deserts and riversides. Thus, giving rise to the concept of Caravan Tourism which has gained acceptance across the globe owing to the freedom and flexibility.